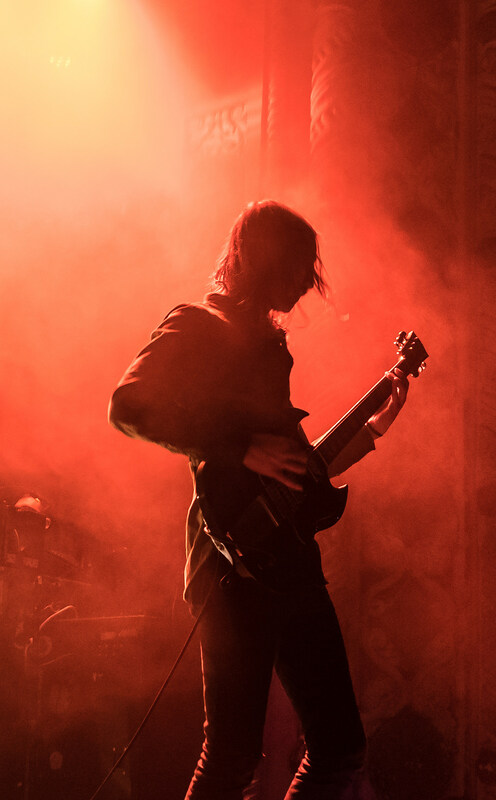 Hometown post-metal vets Russian Circles filled Metro on September 9 to cover the crowd in absolutely massive riffs, accompanied by heavy Indiana tourmates Cloakroom and local pop-sludge outfit Sweet Cobra. The entire show was incredibly loud, exactly the way you want to experience the kind of shoegaze tinged post-rock that aims only to submerge you in its swelling guitar lines. Cloakroom’s vocals were nearly inaudible, a bit of a shame given the clearer mix of last year’s Further Out, but the wonderfully oppressive sway of the songs still came through. The band’s backlit, music-first set outlined the premise for the night: the people playing aren’t what’s important, you’re at this show to get lost in the music. Russian Circles took the stage with no banter, no lighting and a very excited crowd. The band focused heavily on their excellent new album Guidance, bringing grit to (relatively) brighter cuts like “Vorel” to mesh well with the more overbearing songs from the bands back catalog. Guidance got the most stage time but the Chicagoans balanced it well, reaching as far back as their 2008 sophomore LP Station, even bringing its energetic “Youngblood” out for the encore.